Comic Book Hottie Roles: Leading lady Roxy in Ghost Rider, and the thief Sand Saref. What's Her Story: Eva Mendes is a cuban-American and was raised in L.A. She began acting in college which led her to appear in movies--although for a time she was forced into taking small parts, so she was "little known" for some time. The role that brought her into public awareness was as the girlfriend of Denzel Washington's character in Training Day (2001). After that, she was introduced to a larger range of roles from comedies to dramas, which allowed her opportunity to work for some highly regarded directors, like Robert Rodriguez (Once Upon a Time in Mexico (2003)), Carl Franklin (Out of Time (2003/I)), John Singleton (2 Fast 2 Furious (2003)), and the Farrelly Bros. (Stuck on You (2003)). Probably her biggest movie was Hitch (2005), a romantic comedy that had her playing opposite Will Smith. Eva is starring as Roxy opposite Nic Cage in the sci-fi/comic book adaptation of Ghost Rider (2007), directed by Mark Steven Johnson. In 2008 she was in the box office bomb comic book movie The Spirit as the thief Sand Saref. Along with acting, Eva is employed by Revlon Cosmetics as an international spokeswoman. She joins such elite actresses and models as Julianne Moore, Halle Berry and Cindy Crawford, who appear in Revlon's television and print ads. She is also a passionate supporter and active participant in Revlon's fight against breast cancer. 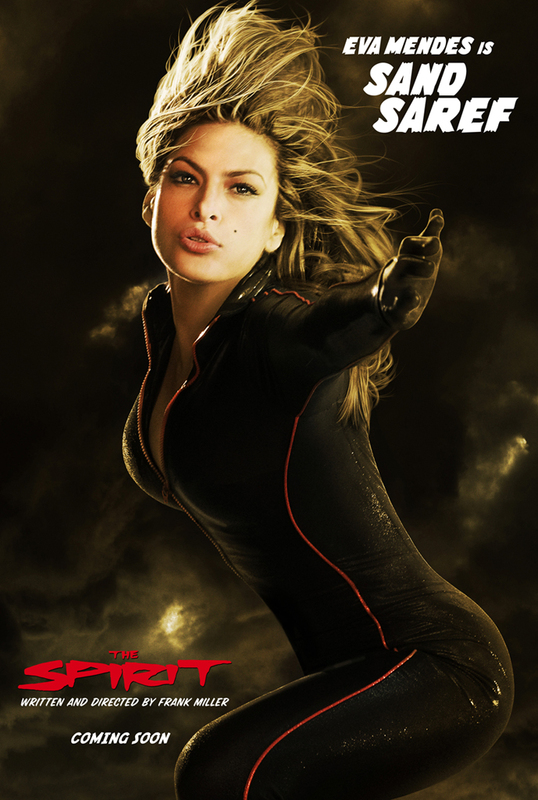 she was the best thing in ghost rider & the spirit.